Over the last few decades, hydrometeorological forecasting, warning and decision making has benefited greatly from advances in the natural, physical, computing and social sciences. A fast developing computing capability has enabled meteorologists to produce ensemble prediction systems (EPS) that quantify the uncertainty in forecasting and simulating floods, droughts, and in water management decision making. At the same time, the social sciences have helped to understand the human perceptions of risk information and how different actors communicate hazard, risk and uncertainty information. 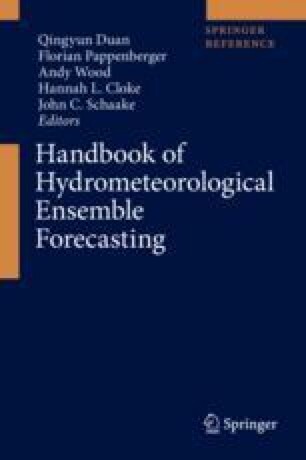 Ultimately hydrometeorological forecasts are used in making decisions. However, to be effective, such decisions must be communicated to the hazard response organisations and to the general public. For this, the communication must be simple and clear, it must be relevant and should come from a trusted source. This overview summarises how such communication is organised for a variety of applications in different countries. It is the effectiveness of the entire system which must be considered and assessed. As ensembles are increasingly used in increasingly longer term management and policy decisions, the range of end-users and their differing requirements can only expand and flexibility and adaptability to individual circumstances will be required from both the natural and social scientists involved.